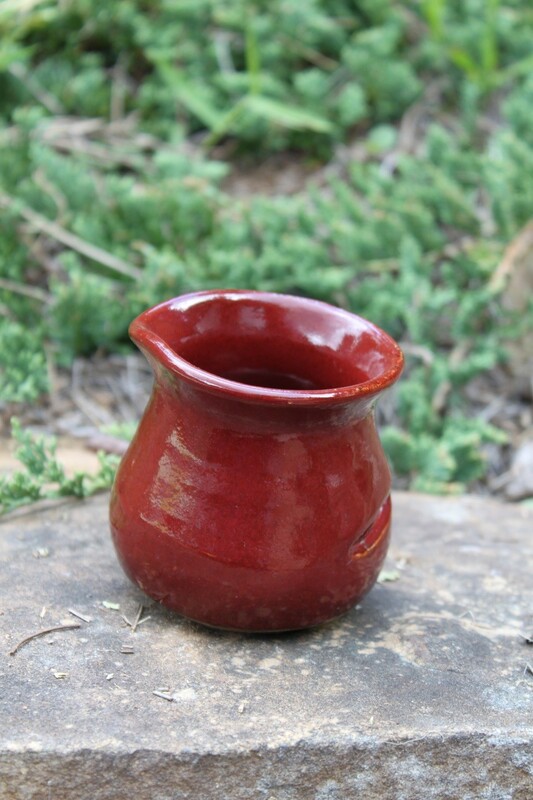 This hand turned Stoneware egg separator is in our Red Apple pattern. It stands about 3.5 inches tall and about 3 inches wide. The slit cut into the side allows whites to separate easily while securing the yoke inside. It makes separating foolproof. Separator into microwave and into dishwasher for easy clean-up.